For those interested in the long and complex history of scent-making, the Fragonard Museum in Paris is a true gem. Situated in a rather unassuming but nevertheless regal nineteenth-century building right near the Palais Garnier (old Opera house), the museum only opened in 1983, but takes visitors on an old-world sensory voyage back to the origins of perfumery. This is one of our favorite odd and underappreciated Paris museums. This entirely free Parisian museum is so often overlooked by tourists, but it offers a magical look at the olfactory arts through an eclectic collection of artifacts and instruments related to perfume formulation, manufacturing, and packaging-- many of these presented in old-world style glass cabinets. 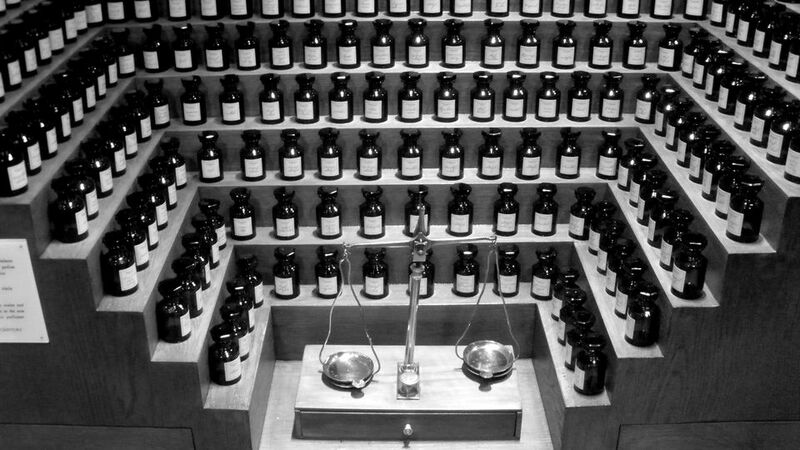 The collection traces the art of scents from Antiquity to the beginning of the 20th century, with a special focus on French traditions originating in the southern French town of Grasse-- still a major world capital of perfumery and housing the headquarters of many prestigious French manufacturers (including Fragonard). The decor here is alluring, to say the least, retaining much of the original nineteenth-century elements such as painted ceilings, stucco decoration, old fireplaces, and chandeliers. Visitors are plunged into a decidedly romantic setting to trace the evolution of perfumery rituals and practices of the last 3,000 years, going as far back as ancient Egypt. Dozens of varieties of old perfume bottles, vaporizers, perfume fountains and "organs" (pictured above), apothecary jars, and instruments used by perfumers to measure and formulate scents make for an intriguing and visually inspiring visit. You'll also learn about the craftsmanship that goes into blowing and designing the delicate and beautiful bottles. For those wishing to take home a special scent or souvenir, there's a small gift shop on the premises, from which visitors can purchase custom perfumes and other scent-related accessories and gifts. The museum is located in the 9th arrondissement on the right bank of Paris, in close reach of the old department stores district and the bustling business area known as "Madeleine". It's also a fantastic area for shopping and gourmet tasting, with tons of boutiques, high-end food shops like Fauchon, sweets, and teahouses in the vicinity. The museum is open from Monday to Saturday, 9:00 am to 6:00 pm, and on Sundays and public holidays from 9:00 am to 5:00 pm. Entrance to the museum is free. In addition, museum staff offers free guided tours of the collection during most opening hours (but we recommend calling ahead to avoid disappointment).